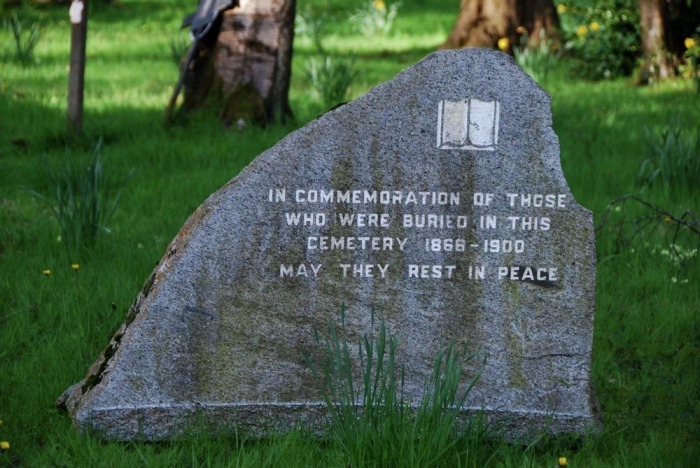 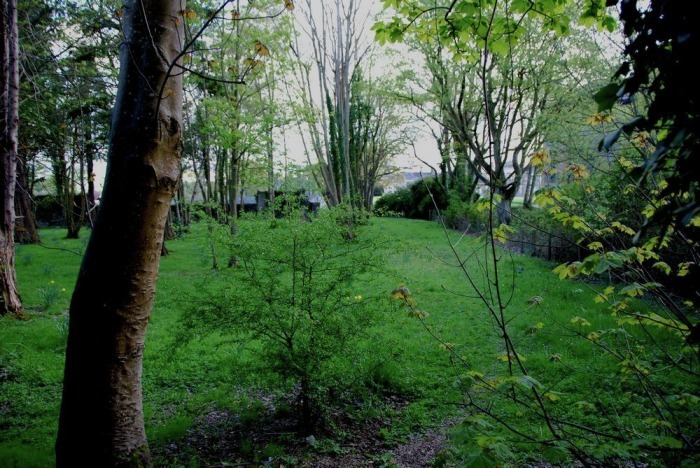 Tucked away in behind the old St. Conal's Hospital there is a small cemetery which was open from 1866-1900. 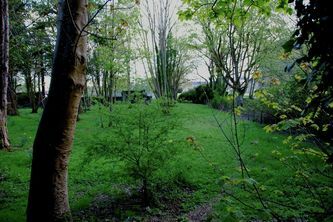 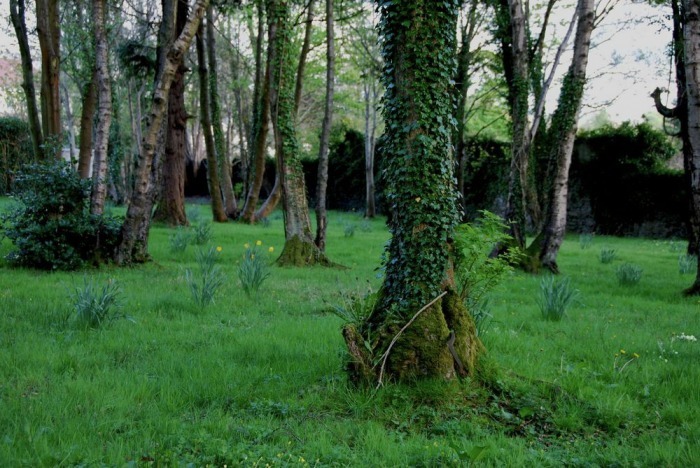 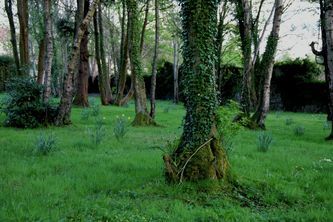 Not many people know of it's existance but it is a beautiful, peaceful place with trees and wild flowers. 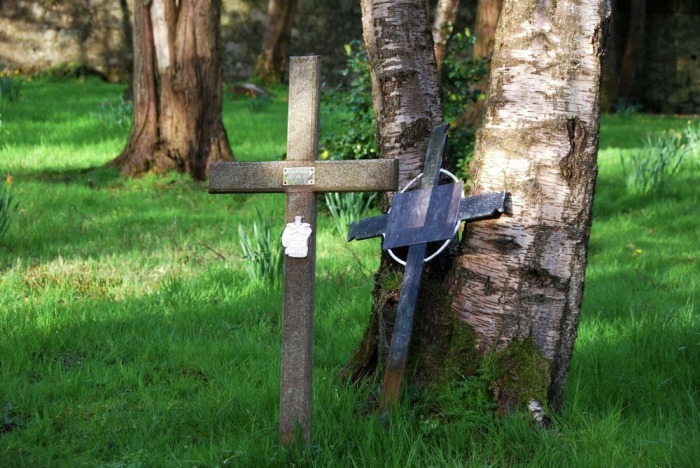 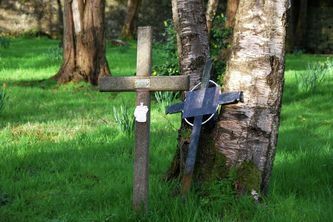 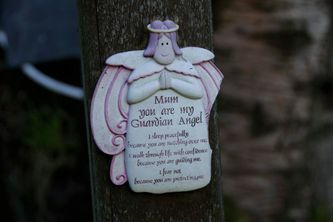 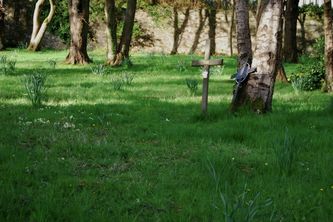 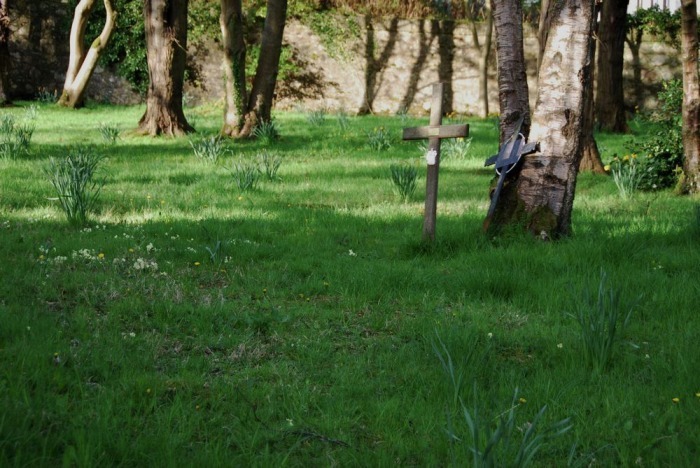 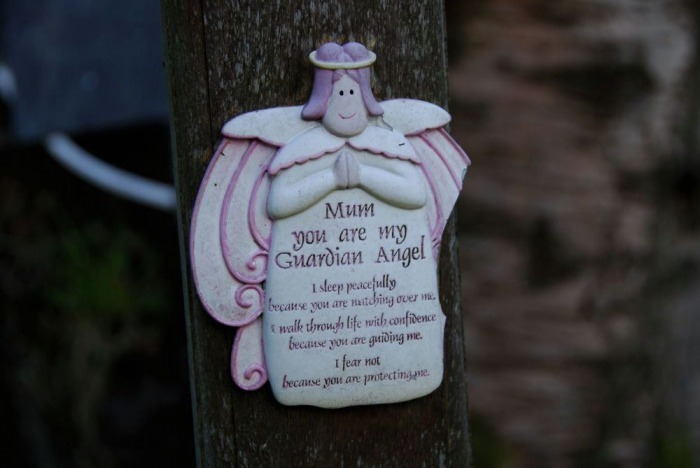 There are no gravestones to be seen but there are some wooden crosses commemorating people buried there.